Green smoothies are my favorite way to eat raw fruits and veggies, they are super easy to make, are ready in less than 5 minutes and taste really good. They are the perfect snack or breakfast. If you like the flavor of apple pie then you will love this green apple pie smoothie. It tastes like an apple pie in a glass! 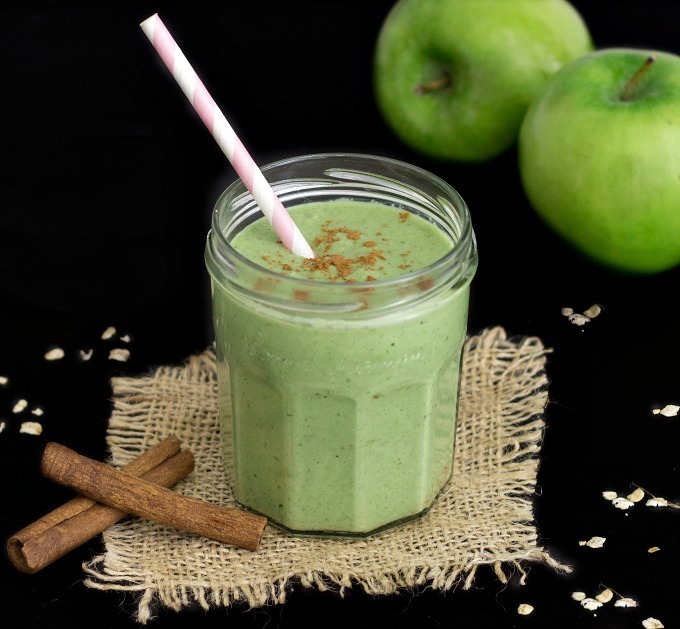 The classic combination of apple and cinnamon makes this smoothie simple and delicious. I love using apples in smoothies. 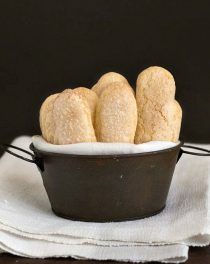 They add great texture, thickness and fiber. To get the most benefits out apples, don’t peel them but opt for organic. Apples are loaded with pectin, a cholesterol-lowering soluble fiber. They also have a high water content that helps you feel full. Why did I add spinach in an apple pie smoothie? Spinach is rich in antioxidants, essential vitamins, and minerals. It’s packed with vitamin A, C, E, and K. You can’t taste the spinach at all, I promise! The cinnamon and nutmeg mask the flavor. This green apple pie smoothie tastes like an apple pie in a glass! 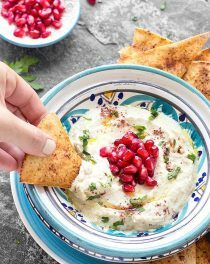 it's simple, smooth, creamy, delicious and has only 214 calories! 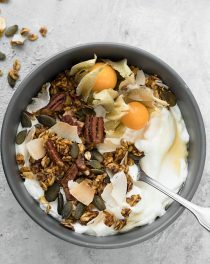 Place all the ingredients into a blender and process until smooth and creamy. Taste and adjust the sweetness if necessary. To serve, pour into a glass or mason jar and sprinkle some cinnamon on top. 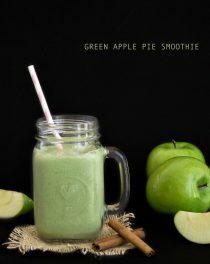 Enjoy the green apple pie smoothie! Hi, I am also Elena, I live in Israel and I like your blog! Will try to do this Smoothie! Hi Elena! 🙂 Thank you for stopping by! Great recipe! Left out the honey to reduce the sugar. It’s still delicious!